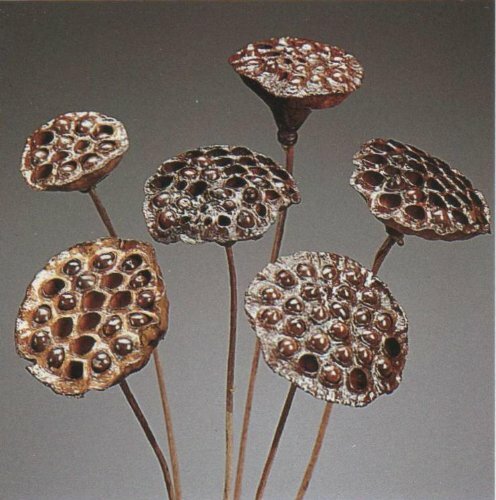 Large Lotus pods are 3-4 inches across on stems 24"-28"" tall, included are dried grasses. Great as a filler for tall vases. Available colors: matt dark brown OR polished, glossy dark brown.